Mr BiJuT is what I’m calling my freeform realisation of a simple NPN/PNP transistor testing circuit. I remember lusting after an Ibanez Tube Screamer back in the day - they really were the stuff of legend. The most famous is perhaps the TS-808. After researching the original circuit and examining how it works in detail. I decided to build one with only a few modifications to the original circuit. 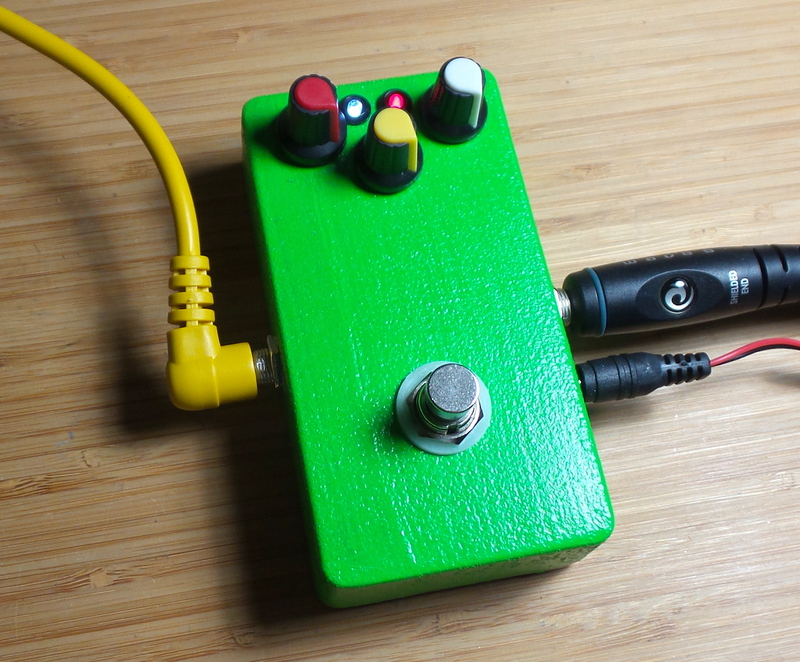 I’m calling it The Goblin, owing to the custom stippled-green paint job I gave the 1590B enclosure. Wilf’s Bird is a pretty famous “bird chirp” sound effect by Wilf Rigter. 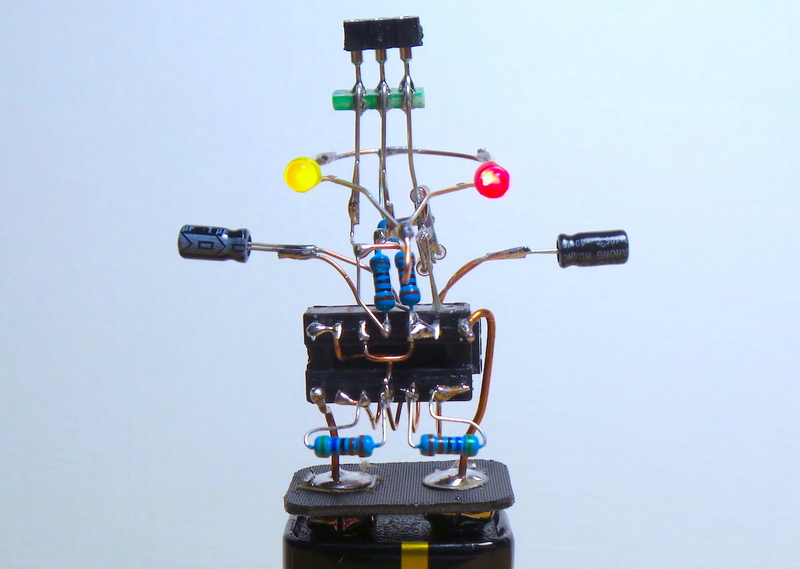 I last saw it used in Kelly Heaton’s wonderful bird sculpture, a Hackaday Circuit Sculpture contest winner. The CANary is my little experiment with the sound effect. 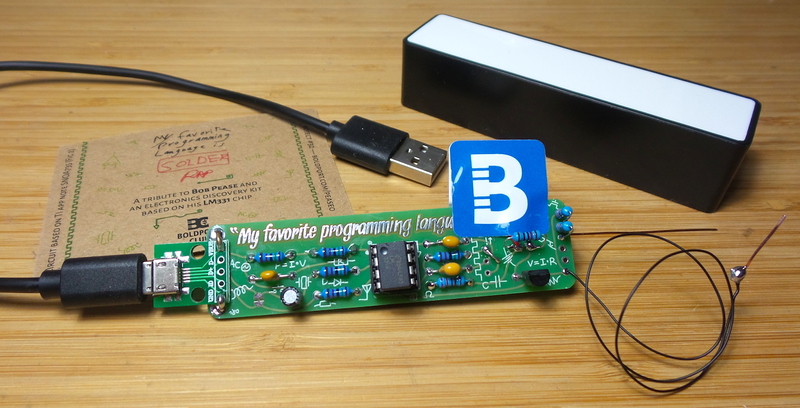 The Boldport Pease-out is another tribute to Bob Pease and the classic LM331. As the last of the “classic series” monthly projects, it fittingly takes us full circle to compare and contrast with first project - “Pease”. the Boldport Club continues - just not at the harrowing pace of 1 a month for the past few years (I seriously don’t know how Saar does it!). The probe runs on 5V USB and does a decent little job of providing an audible indication of voltage - with frquency corresponding to voltage level.